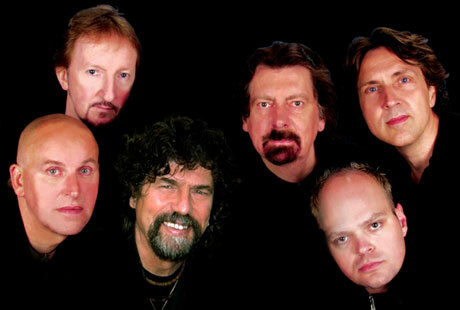 Kelly Groucutt of prog rock superstars Electric Light Orchestra (pictured bottom left) has passed away. The bassist/vocalist reportedly suffered a heart attack Wednesday (February 18) but did not regain consciousness and died Thursday afternoon in a Worcester, England hospital. He was 63. Groucutt joined Electric Light Orchestra in 1975 and first played on their Face the Music album, after leaving his previous band, Sight and Sound. He performed with ELO as they became one of the '70s biggest-selling rock acts, contributing to such hits as "Livin' Thing," "Mr. Blue Sky" and "Don't Bring Me Down." Groucutt left the band in 1983, only to later tour with several of their successor acts like ELO Part II and the Orchestra. According to a statement on Groucutt's official website: "Our hearts and thoughts go out to Anna and Kelly's family. He touched all of our lives with his love, kindness and generosity, as well as his talent for music and song. He was a true and wonderful friend who loved every second of life and he will be greatly missed by us all."